Would you rather Have humanity go extinct or Debate every illogical idiot on the Internet until he/she starts acting logical? If I must. I'll start with the "humans are overpopulated and bad for the earth and should go extinct" people. There is a rather large population of humans that is increasing dramatically. Also, given man made climate change as one example, we are pretty bad for the Earth. I wouldn't say we should go extinct, but I wouldn't call that illogical. Global warming's a myth bro. http://www.longrangeweather.com/images/gtemps.jpg Read and learn. 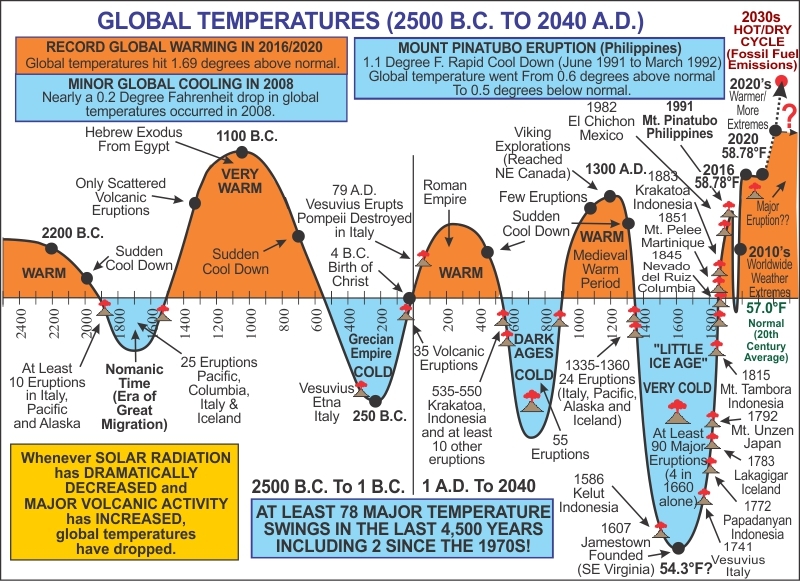 Yes periods of global warming and cooling happen throughout our history, but the one we are experiencing a period of man made global warming. This isn't natural and it is not supposed to happen. I don't even know why I have to argue this. Global warming is a fact. Like c'mon bro spare yourself the embarrassment and just admit you're trolling. Live like a Canadian? Well that sounds very selfish of you. No, the reason global warming is a problem is because of the environmental problems it creates. These lead to habitat loss, mass extinction, mass immigration, etc. This will lead to a lot of problems. hahahahaha If you are trolling then this is the greatest troll of all time. The sh*t you say is so hilarious. Always gives me a good laugh. There is strong evidence that the reason the climate is getting warmer is because of carbon dioxide. As carbon dioxide increases, so does the temperature. I don't know what's so hard to understand about that. Either you didn't read, or you read and didn't learn. Idk which. Either way, follow instructions closer next time. Is that the best you can do? Is this link all you can seriously prove that "global warming is a lie" and pretend to act like I can't read? If your link is so anti-global warming (the link doesn't even say it's against it), why does nearly every single meteorologist agree that global warming is happening? Pretty simple answer there, it's because it would be incredibly politically incorrect and would likely cost them their careers, credibility, and livelihood to say they believed otherwise, so of course they don't speak out against it. Also, a college-educated meteorologist has basically had the idea rammed down their throat since day 1, so it wouldn't be surprising to me if some of them actually, genuinely believed it. Actually they'd lose their credibility if it wasn't true and they turned out to be lying. There's this thing called "peer review" that prevents people from getting away with lying. Lol you're truly naive if you believe that. Academia backs wacky ideas that later fall out of favor all the time, and no one ever gets exiled over it. They do when someone was intentionally lying about it. Academia doesn't take kindly to that sort of thing. Use sarcasm if you wish but that was actually a pretty solid theory. There's a ton of funding over it and a ton of people who'd hate to lose that funding. And I'd really really love it if you'd give me some proof that my sarcasm is actually true. Everything you say is speculation and no evidence. Nope. There's more than a reasonable consensus that climate change is to a large extent anthropogenic. 97 percent of climatologists concur, and the few true exceptions (that is to say the ones that don't have some political motive) only reinforce that point. There have been thousands of papers on the subject over the past few decades and the evidence for anthropogenic climate change is overwhelming to say the very least. But I guess whether it's evolution, GMOs, vaccines, water fluoridation, or climate change, there's never enough evidence to convince some people. "Crazy said, without any punctuation at all." :P My opinion isn't important. What's important is making sure people know when to base a decision off of opinion, and when to base it off of facts, evidence, and logic. YEAH I WONT DISAGREE WITH THAT.. CLEVER.. BUT YEAH I THREW FACTS AND LOGIC AT YOU AND ALL YOU HAD WAS A 5th GRADER RESPONSE.. your punctuation is wrong... HERE YOU GO is "the use of spacing, conventional signs, and certain typographical devices as aids to the understanding and correct reading, both silently and aloud, of handwritten and printed texts." Another description is: "The practice, action, or system of inserting points or other small marks into texts, in order to aid interpretation; division of text into sentences, clauses, etc., by means of such marks." Can we not make this like other internet "debates" where people just call each other names? :( A lot of people seem to make some pretty serious mistakes when it comes to logic. Furthermore people tend to be confused on what's a fact and what isn't. It's all too easy for someone on the internet to make some bs claim and say it's a fact that was found in a study. The human mind tends to assume that people are telling the truth automatically (except for when the person in question wants to not believe what they're being told). Not to mention the fact that people tend to have a fuzzy idea of the difference between facts, theories, evidence, opinions, beliefs, etc. Something has to be done at some point about how people make such terrible decisions. OOO SUCH A PITIFUL... COMEBACK.. I'm not making "comebacks". This isn't an argument (or at least I'm not trying to argue). I'm just trying to get people to be logical for once. I wasn't trying to be defensive. Sorry if it came off like that. Also why do you keep typing everything in caps? Did your caps lock get broken? :? YEAH THERE'S A DIFFERENCE BETWEEN CORRECT PUNCTUATION.. AND NO PUNCTUATION AT ALL.. YOUR ARROGANCE BLOCKED YOU FROM SEEING THAT ONE. "Sir, if you don't stop being an idiot the human race will go extinct." I guess I can put up with a few morons if it means I'll save humanity. Not a few. You have to put up with EVERY moron. Duh, I would LOVE if humanz went extinct! I think your thinking about someone else cuz there iz nothing wrong with the way I spell. Yeah right there "iz" nothing about spelling like this. So, the internet will be 100% non-believers for a while. Not "for a while" forever. People have to act logically forever. Otherwise we'll just go right back to a path towards extinction. If you don't want humanity to go extinct, you have to find some way to make sure that we don't ever go back to making illogical decisions. B happened to me just once.